As both a reader and a writer, I appreciate the nuances of insulting someone without having to resort to cussing all the time. The Bard shows us how creative words can truly be. 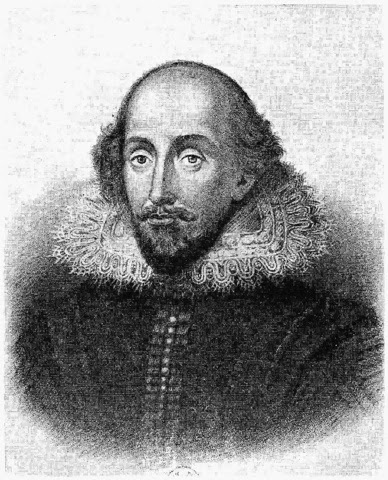 Here's a link to a Shakespeare Insult Kit. You start with "Thou" and pick one word from each column to create a unique insult, like "Thou goatish, milk-livered, canker-blossom." Or use your own words to make something up and give me a sentence in the comments. Maybe I'll even use one of your creations in an upcoming novel! 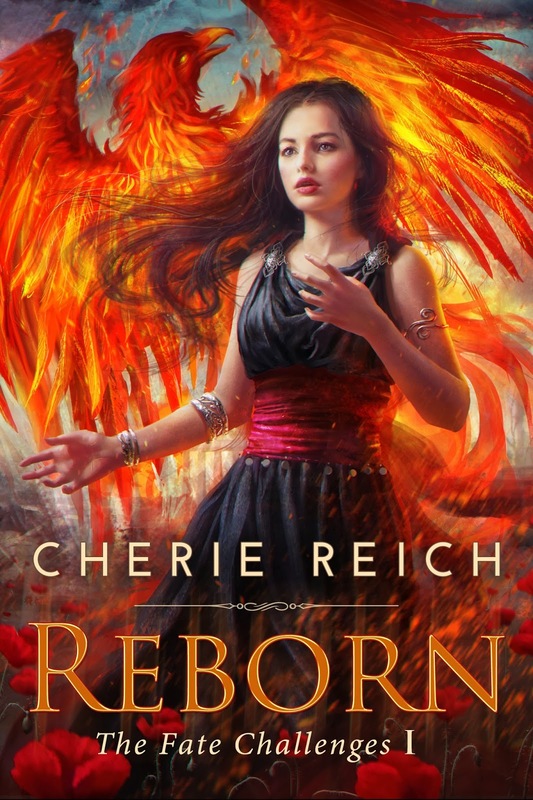 This week is full of excitement since I'm revealing the cover art of my debut YA Epic Fantasy novel Reborn. I had the idea for Reborn in 2006. On January 15, 2009, I started writing the first draft. Since then, it's been through a complete rewrite and multiple edits and will be released on May 23, 2014 ... just five months away! 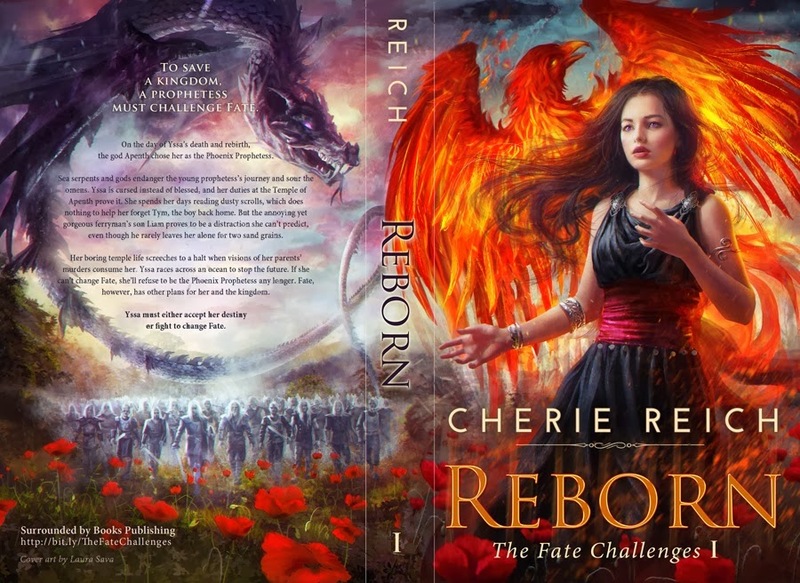 From 2006, I had an idea of what I wanted the cover art to look like for Reborn, and I found the perfect cover artist, the brilliant Laura Sava, to take my vision and make it into a reality. Without further ado, here is the cover art for Reborn. The infant lay limp upon the table, a thin cloth separating her from the wood. Her dark hair was matted down, and a smudge of birthing fluids tainted her pale flesh. The midwife had rushed to wipe off the baby after birth and deposited her in the nursery away from the child’s parents. Apenth, the God of Prophecy, Wisdom, and whatever else mortals had labeled him with this day and age, believed the little girl was perfect, except for one tiny thing. Apenth had waited five hundred years for this child’s birth. Breath flowed from his nostrils and rustled her hair. Wails from the other room clamored for her death not to be so. He straightened at their pain. The small crib sat discarded in a corner. A doll, sewn by an expecting mother’s steady hand, peered at Apenth with its coal-black eyes. Her parents didn’t know a god was here, watching, waiting for an opportunity to save their child. His hand hovered over the baby’s heart. One touch would change everything. “Stop, my son.” A wrinkled and liver-spotted hand seized his wrist. He cursed his lack of a premonition. Shouldn’t he have known Postera, the Goddess of Future and Foresight, would try to stop him? He was the God of Prophecy, after all! Her bony fingers gripped tighter with a strength he didn’t know she possessed. With a sigh, he focused upon her clear blue eyes, so like his own. “Mother, she’s the one. I have to continue Amora’s prophecy.” He gently pried her aged fingers from his wrist. His heart sank. The detached thread swayed back and forth from her fingers. Was it too late to revive the child? His body curled closer to the infant. Her life was slipping through his fingers with each passing grain of sand in an hourglass. This girl had to be the sixth prophetess. He couldn’t forget the council’s words or how they’d cursed his fifth Phoenix Prophetess. But visions of the Kingdom of Amora in flames flashed through his mind. He could taste the ashes, like burnt bread, and hear her people’s screams. The prophecy of the kingdom’s destruction leaked sour bile into his mouth. The other gods, including Kisa, the Queen of the Gods, might be willing to turn their backs on their loyal people for Fate, but he wasn’t. There was also the infant in front of him. She reminded him of his daughter. His mortal family resided in the Underworld, but he wouldn’t let this child. “Think of the consequences, my son.” She seized his robes. He had. They both knew the gods would find a way to curse him and this innocent child, but the price was worth saving the kingdom. Ignoring his mother’s protests, Apenth leaned over the lifeless baby again. His lips pressed against her ashen forehead, so cold to the touch. Postera clawed at his arms, but he shoved away her hands. Nothing would stop him from completing Amora’s prophecy, protecting the kingdom named after his love. “You are mine, little one.” His palm pressed over the infant’s heart. Electric heat flowed from his glowing fingertips and nearly burned his flesh, but he kept his hand steady. The white light expanded and exploded within the room. “No!” Postera screamed. The child’s life-thread ripped from his mother’s hand and joined the pulsing jewel on her belt. The piece sizzled, reattaching to the gemstone, and transformed to blood red. The life-giving luminosity collapsed into the child, her flesh glowing for a moment. A tiny strawberry-colored birthmark in the shape of a phoenix blossomed upon the flesh over her heart. The baby’s lungs filled with air, and a cry broke from her lips. The Phoenix Prophetess was reborn. Ghost writing should not be confused with ghostwriting, where a writer writes articles, novels and other texts which are written for and credited to someone else. No, ghost writing, or a ghost writer, is someone who writes about ghosts. If you want to use ghosts as characters in your stories, here are a few rules I've learned to follow. No moaning. There's a pretty big difference between the classic ghost story of yesteryear, and modern day ghost stories. The classic moaning-ghost story, while chillingly and delightfully scary sitting around a campfire, is not nearly sophisticated enough in this day and age to satisfy a reader. But these days, even Moaning Myrtle is not just another 'moaning' ghost who hangs in the first floor girl’s bathroom at Hogwarts. She has a level of personality that makes her interesting. She’s in turn pouty, flirtatious, depressed and mischievous, especially when she joins Harry Potter in the prefects bathroom during his bubble bath and insists on trying to sneak a peek through the bubbles, saying, "Oh, hello Harry, long time - no - see, hmm." I keep this in mind when writing about Franny Bishop, a regular secondary character in my Indigo Eady Paranormal “Cozy” Mystery series. Franny is a Victorian ghost and former madam. Her character is caring, forgetful and a bit funny as she tries to make sense of the modern world. For instance, when she strew marbles on the floor to trip up the 'coppers' to give the kids enough time to escape the 'raid.' As a former madam, she has a past and more secrets than the house, the senate and the oval office combined. But she’s clearly dead, so she has no worries, right? Wrong. She worries about the young investigators she’s taken under her wings, among other things. This causes her to interfere. I’ve been told by more than one person that Franny is their favorite character in the series. No chain rattling. The classic ghost ‘haunts’ a house. It wanders down halls moaning, making lights flicker, rattling chains, knocking things from shelves and scaring the bejesus out of its residents. Again, good for campfires, but not very interesting to readers for the long term. Franny doesn’t ‘haunt’ the house where she resides. She lives there. It’s her home. If a chair is rocking seemingly on its own, it’s because she’s sitting in it knitting. She does normal things, just as a live person would. She has a life, so to speak. Speak intelligently. The classic ghost who deigns to speak, tells you to get out or die. They don’t really have much to say. If they do appear, they’ll maybe just point, sort of like the ghost of Christmas yet to come in the classic Charles Dickens', A Christmas Carol. Sure, it’s creepy and ominous, but creepy and ominous do not equal good plot. Classic ghosts are fine for snippets or parts of stories; they add intrigue and the chilling effect. But alone, they won’t carry a whole novel. A ghost character must have fully developed lives and personalities. The more intriguing, the better. Plausibility. Don’t believe in ghosts? You don’t have to. But even with ghosts, the story has to be plausible. I write mysteries. When you’re solving mysteries, how you come by your clues still has to make sense. Ghosts know a lot about what’s going on in their worlds, but how they 'know' things still has to make sense, too. It’s called the suspension of disbelief. Ghosts can’t be omniscient and know everything. If they knew everything, there would be no mystery, no intrigue and no story. They have to come by their information the same way that the living do--through investigation. No cop-outs just because the character is a ghost. What are your hard and fast rules? It's that time again when many of us make resolutions and set goals for the new year. Unfortunately the majority of people will not stick to them. We all start with good intentions and a positive outlook, but something happens along the way. A little bump in the road, a distraction, or a villain blows up your batcave. But we should not let these things deter us from our goals. We must stay strong. 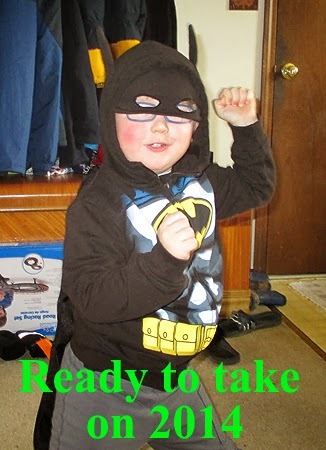 Here are some tips to help you stick to your writing goals and become your own superhero. 1) Set smart (a.k.a. realistic) goals. You must be specific: know how much time you have to dedicate to it and make sure you set goals that are attainable in that time period. If you're going to get up one hour earlier in the mornings to write, make sure you're still getting enough sleep. You can't persevere if you're falling asleep at your desk. 2) Set inspiring goals. While you want to be realistic about what you can do, you want to do something that motivates you and leaves you in awe of what you've accomplished. This is what you dreamed about doing. Find a path that works for you to achieve it. 3) Break your big goals down to smaller, more manageable goals. Set daily, weekly, and monthly goals. Be aware of your schedule. One month might be much busier than the next. Also, know how you write. Are you fast or slow? Do you edit as you go along? For some people, measurable ones like setting a daily word count target work best. For others, one short story a month is a reasonable goal since they might only get a chance to write on weekends. 4) Reward yourself. Sometimes being a writer can be stressful, even overwhelming. Drafting, revising, editing, querying, marketing, and networking. Yikes! It helps to take a step back and do something else you like after you achieve a small goal. Go for a walk, enjoy a movie, or bake cookies. Relax. Winding down will help make you see things in a more positive light and boost your creativity. 5) Most importantly, be flexible. Life is going to take you on some unexpected turns. You might have to work later at the office or an illness could keep you in bed for weeks. Don't get discouraged. These goals are your own. You can change them. Don't let the villains stop you from reaching your dreams. What are your writing goals for this year? Do you have any tips that help you stick with them?